For the early and not-so-early birds! 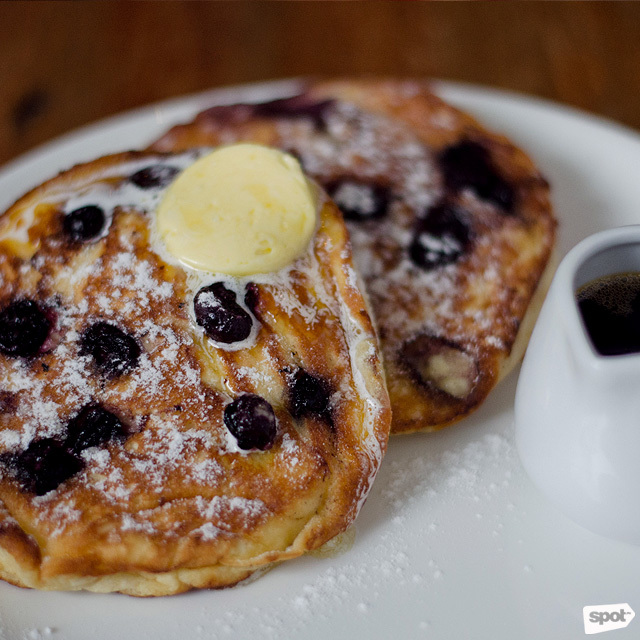 (SPOT.ph) They say breakfast is the most important meal of the day. After all, how can you kickstart your day with an empty stomach? Whether you’re into healthier stuff like granola or toast, or prefer the more filling rice meals, you’ll find your favorite morning treats at these new spots around the Metro where you can have breakfast like a king. Manam Café is at 3/F Mega Fashion Hall, SM Megamall, Ortigas, Mandaluyong City. While Poblacion is now well-known for being home to some of the hottest bars and dining spots in the Metro, it's also a heritage district, in part due to all the colonial-era churches that were built in the area. 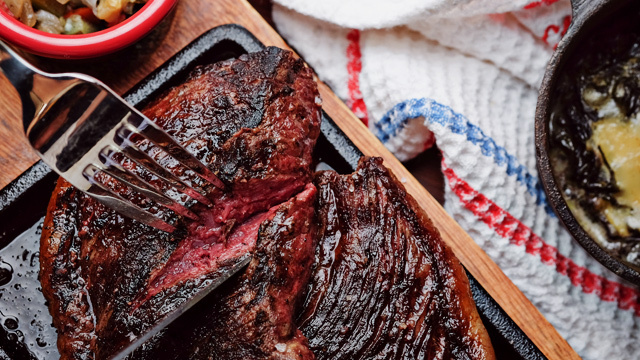 The neighborhood has practically turned 180 degrees over the past few years, but there’s a new rooftop restaurant-slash-bar that pays homage to its roots—Essential Goodness, for the Pilgrims. 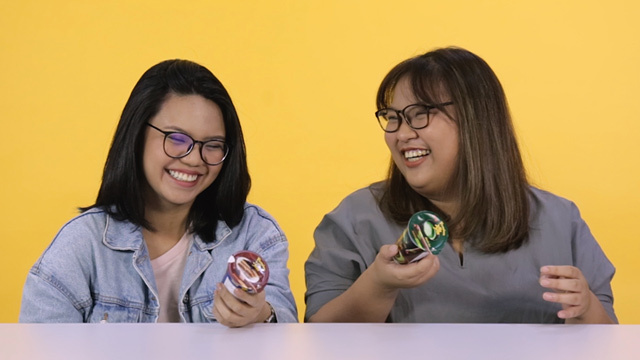 The name may conjure up images of novels or films, but it is, in fact, an all-day breakfast concept by chefs Nicco Santos and Quenee Vilar (of the now-defunct Hey Handsome). 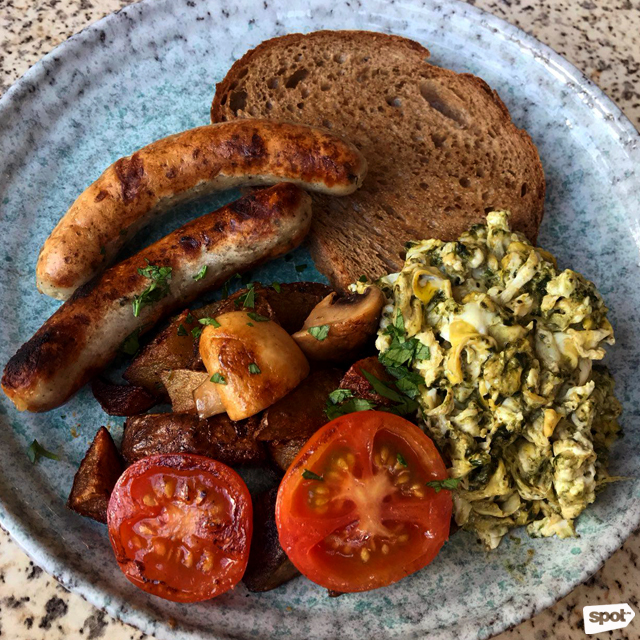 Get a little bit of everything through their Essential Breakfast (P325), a hearty plate of English bangers, bacon, eggs with pesto, rye toast, and potato confit. Essential Goodness, for the Pilgrims. is at 13/F Lub d Makati, 7820 Makati Avenue, Poblacion, Makati City. 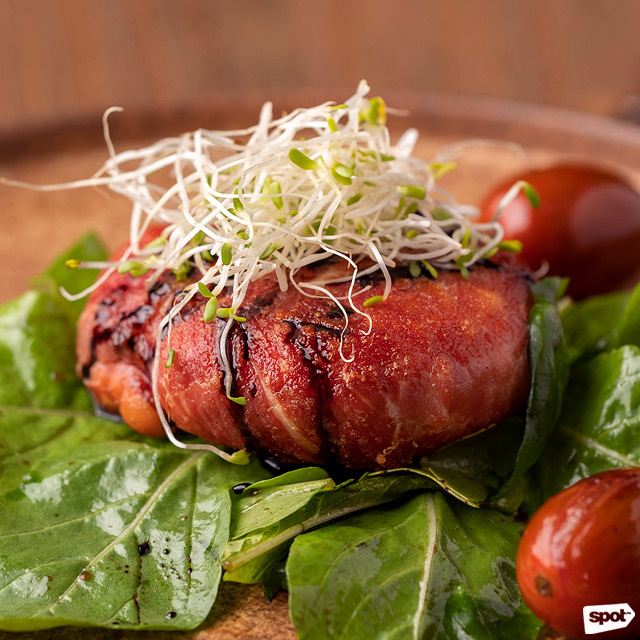 With their gilded interiors, it’s easy to feel intimidated at 205 (two-oh-five), a café-lounge in BGC that also dishes up mean breakfast plates. But you'll be surprised to know that the meals at this posh diner won’t break the bank. The fork-tender Beef Tapa (P280), for one, comes with garlic rice and eggs done your way, plus an option to add coffee for just P80. 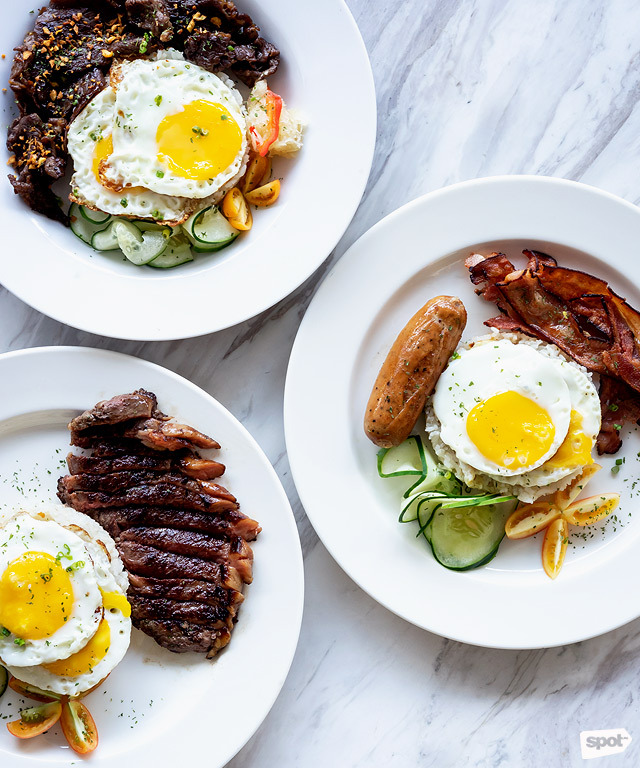 There are other dishes available, but if you want to go all out, the juicy Steak and Eggs (P650) won’t disappoint. Have these any time from 8 a.m. to 4 p.m. or 11 p.m. to 1 a.m.—perfect for the early risers or those with intense late-night cravings. 205 is at C2 U/G High Street Central, 7th Avenue, Bonifacio Global City. It’s easy to let out your inner tita at this new café because you’ll feel like you’re in an indoor botanical garden. At Ça Va Creperie & Floral Atelier, you’ll be served rice bowls as well as savory and sweet crepes among intricate floral arrangements and lush indoor plants. Treat yourself to one of the bestsellers, Salmon to Love (P450), which combines smoked salmon with cream cheese, sour cream, dill, and fried capers. New on the menu is their bibingka dessert crepe, inspired by the local rice cake, which would be a sure hit with salted-egg fans. Pair it with a long black or flat white coffee and it would be easy to imagine that you’re at a Parisian café. Ça Va Creperie & Floral Atelier is at G/F The Podium, ADB Avenue, Ortigas, Mandaluyong City. 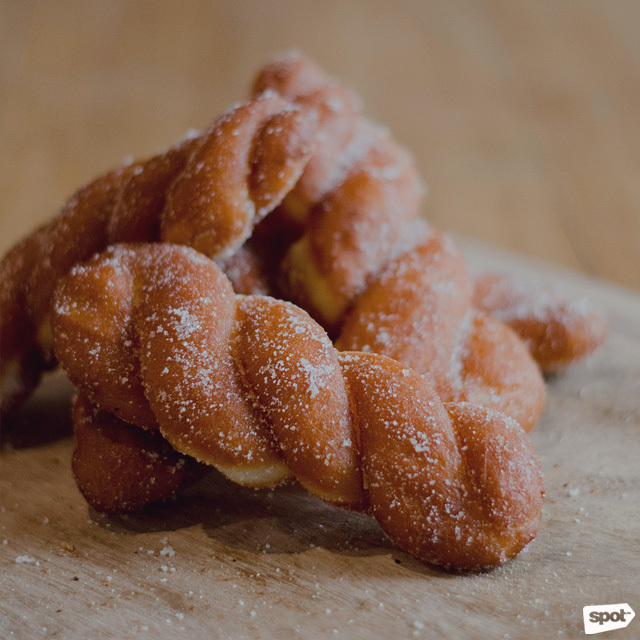 Instead of having your churros to go, why not have it at your own leisure at La Lola Café, Churreria La Lola’s first-ever coffee shop? Here, you can find your own comfy space and enjoy their sweet treats, like churros that goes well with either coffee or tsokolate—and yes, you can have it for brunch. Or you could try their savory offerings like sandwiches, rice meals, or pasta. 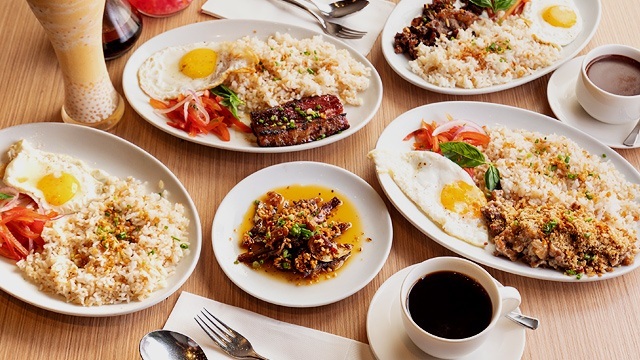 If rice is life for you, they’ve got a simple selection of all-day breakfast meals like the Sweet Longganisa (P190), Cured Pork Tocino (P190), and Smoked Salmon with Omelette (P290). La Lola Café is at 2/F Glorietta 4, Glorietta Complex, Ayala Avenue, Makati City. What was once a secret café in Mandaluyong is now a spacious and chic restaurant set inside a furniture shop in Makati—don’t worry, they still offer specialty coffee. Caffeined by Artesania cooks up breakfast as early as 7 a.m. on weekends and 8 a.m. on weekdays, but before you shop around for local high-quality furniture, whet your appetite with a beautiful plate of Eggs Benedict (P250), with ham and poached eggs atop buttery pan de sal and doused in creamy hollandaise. When you think of Italian cuisine, pizza and pasta immediately come to mind. But there’s more to it than that at this quirky neighborhood restaurant owned by the Guidicelli family. The menu features a good mix of Filipino, French, and Italian food. 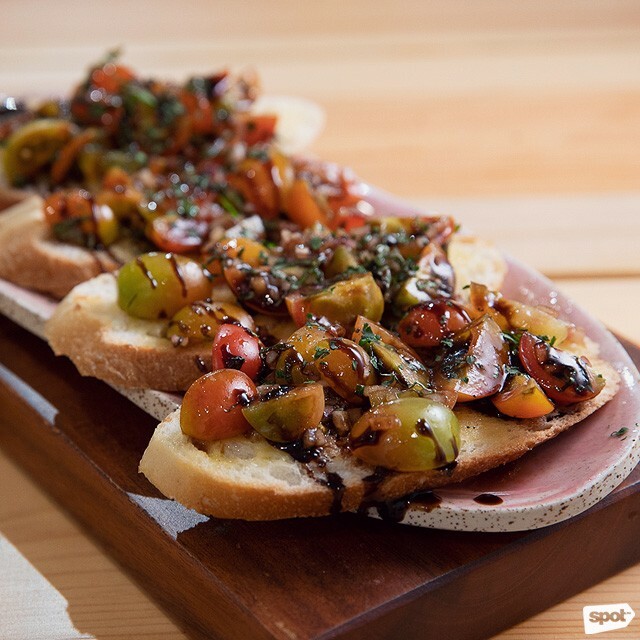 Sample the Bruschetta Breakfast (P385), an omelette with ricotta cheese over homemade ciabattone bread, and your choice of either Norwegian smoked salmon or Parma ham. Their breakfast meals are available until 10:30 a.m. and all come with brewed coffee. Pro tip: You can also get espresso-based coffee for just P80. Da Gianni is at Westgate Center, Filinvest City, Alabang, Muntinlupa City. There’s definitely something for every breakfast lover at Little Flour Café, which also just recently opened their second branch at Mega Fashion Hall. 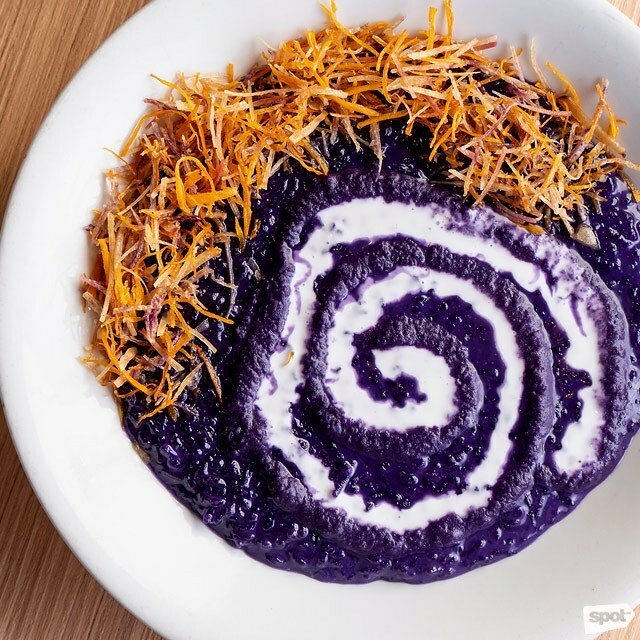 Take in the restaurant's homey surroundings as you satisfy your pancake cravings with the fluffy and sweet Blueberry Pancakes (P320/two pieces), or you can also go for something more familiar through the savory Sisig Rice Bowl (P250/half, P420/full). For dessert, their signature Cassava Cake (P160/slice) is a no-fail. Little Flour Café is has branches at Mega Fashion Hall, Mandaluyong City; World Plaza, Bonifacio Global City; and Salcedo Village, Makati City. There’s nothing like the smell of freshly baked bread to wake up your senses, and that’s what’s in the spotlight at Panaderya Toyo by chefs Jordy Navarra and Richie Manapat of Toyo Eatery. This is far from your usual street-side bakery thanks to their sleek and contemporary interiors, featuring an open bread-making area, bread display, and dining space. Depending on your mood (and hunger), you can opt for the Drink, Bread, & Spread (P200) where you can choose your preferred beverage and bread options like knotted pan de sal and bicho-bicho. As an alternative, you can get the more substantial Tinapay & Palaman (starts at P350), some of which feature crispy fish, octopus, cured pork, and saikoro steak. Panaderya Toyo is at The Alley at Karrivin Plaza, 2316 Chino Roces Avenue, Magallanes, Makati City. 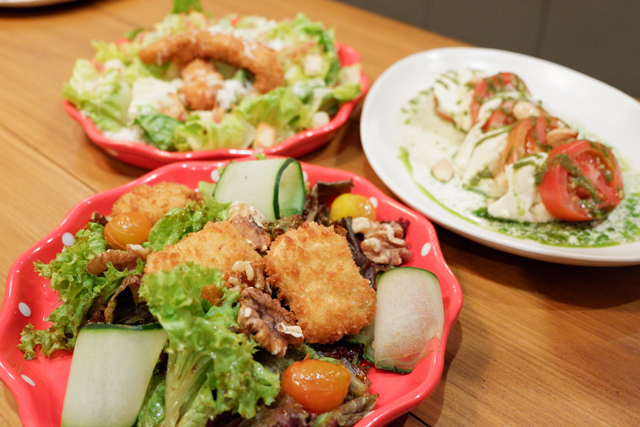 Despite the small space, you’ll like the fresh and bright vibe of this casual QC hangout. White Camp Coffee & Kitchen’s mostly white interiors lend a cozy vibe for some me-time or a casual meet-up with friends. Coffee aficionados would also appreciate their wide array of coffee selections, which includes two blends, single-origin coffee, as well as different brew options. Don’t just nurse your coffee addiction during your stay—have it with a tasty all-day breakfast meal! 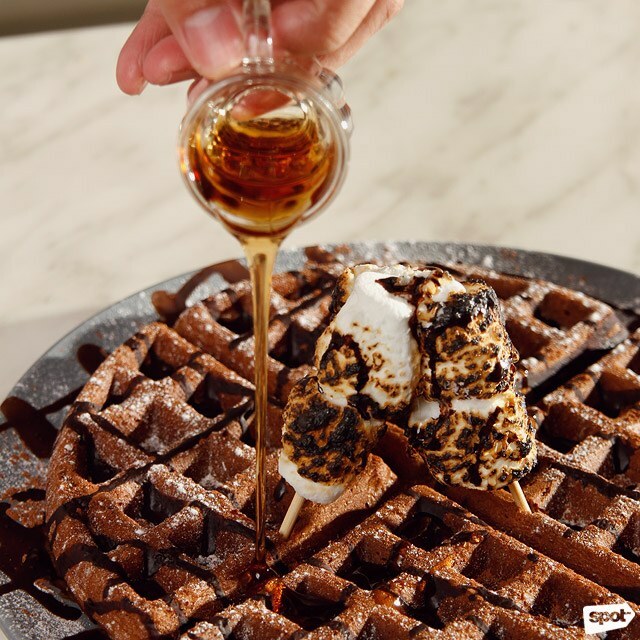 The S’mores Waffles (P210/whole, P145/half) is a treat if you have a sweet tooth, with a chocolate-flavored waffle topped with roasted marshmallows and chocolate sauce. Too sweet for your liking? Don’t worry, they’ve also got eggs and rice meals. White Camp Coffee & Kitchen is at 62 Sgt. Esguerra corner Mother Ignacia Avenue, South Triangle, Quezon City.